What Is The Oily Skin Acne Connection? Acne on oily skin requires special handling. Get to know the facts about oily skin acne so you don’t make expensive and potentially disfiguring acne care mistakes. Using a lotion or cream containing green tea extract can help reduce the production of sebum. Oily skin acne requires special handling. Skin oil does not cause acne. Accumulation of dead skin from the lining of pores creates the clog. The amount of skin oil produced in the pore determines how large the blemish will be. The first thing to do in treating oily skin acne is opening pores with salicylic acid. Don’t use an product containing more than 3% salicylic acid at home. The second thing to do in treating oily skin acne is stopping the production of excess oil with green tea extract, applied to the skin in a lotion or cream. When pores have healed, it’s OK to seal them with acne care products that contain witch hazel. Even if you have oily skin, sometimes you will need moisturizer for dry skin, especially on the sides of your face and along the jaw line. Oily skin is not what most people believe it to be. It’s possible (although unusual) for skin to be both oily and dry at the same time. A working understanding of what makes oily skin “oily” requires a little background in the anatomy of the skin. The topmost layer of the skin, called the epidermis, is made of four distinct layers. When we look at the skin, we only see light reflected from about the top four layers of 25 layers of cells. When the top layer is smooth, it reflects light more evenly than when it is rough. When there is more moisture in the skin, it appears to have deeper colors. When there is more oil on the skin, it looks shiny. At the bottom of the four layers of the skin lies the basal layer of the skin. Here “mother cells” create “daughter cells” that migrate to the surface of the skin over approximately 26 to 42 days. In children, the skin usually renews itself about every 26 days. By the time someone is 30, the skin takes about 35 days to regenerate. By the age of 75, the skin may only restore itself every six weeks or so. The skin you see is your oldest skin. It is protected from drying out prematurely by compounds known as natural moisturizing factors or aquaporins. These chemicals “hook” water so that it can keep the outer layer of skin moist without interfering with bloodstream beneath the skin or causing the skin to leak. In dry weather or when the skin has been dried out by alcohol or detergents, the lower layers of skin produce more aquaporins to keep the topmost layer of skin healthy. That process takes a few days, so in the meantime, glands at the base of nearly invisible skin pores produce more of an oil known as sebum to keep the skin lubricated. When people have “oily” skin, those glands are especially active, protecting the skin. Why Is Oily Skin A Problem For Acne? Mats of dried skin stop the flow of oil out of pores. The oil becomes compacted and dries out, forming a plug in the pore. If the oil in the pore has not oxidized, it appears yellow or white. If the topmost layer of of oil plugging the pore has reacted with oxygen in the air and oxidized (and it hasn’t been washed off), the plug appears to be black, forming a blackhead. If acne bacteria are trapped inside the pore, and they usually are, the immune system may try to destroy them. The bacteria can secrete compounds called chemotactins that redirect the attack to nearby skin, creating a pimple. Pores that produce a lot of oil tend to produce larger, more noticeable whiteheads and blackheads. The oil dilutes the bacteria in the pore, however, so that the formation of a pimple is less likely. Pores that don’t produce a lot of oil tend to produce smaller, redder pimples. That is because any bacteria in the pore are trapped closer to the lining of the pore and more of their chemotactins reach the bloodstream around the pore. What Is Different About Treating Oily Skin Acne? If you have tight, dry skin that tends to form pimples, you need to focus on getting rid of acne bacteria. But if you have loose, oily skin that tends to form blackheads and whiteheads, then you need to focus on getting rid of excess oil. The key to successful acne treatment, however, is removing excess oil, or stopping the production of excess oil, without drying out the skin and causing the flaking that clogs the pore. Here is how it is done. 1. Open up pores with beta-hydroxy acids. It doesn’t do any good to apply a treatment to stop excess oil production in pores that are too clogged to absorb it. The first step in treating oily skin acne is to break the tiny, usually invisible mats of cellular debris that keep oil in pores. The way to do that is by using beta-hydroxy acids. In practice, the only beta-hydroxy acid used to in skin treatments is salicylic acid. Salicylic acid can be manufactured from willow bark, but it is not the same as willow bark. When applied in a concentration of 0.5% to 3%, at a pH between 3 and 4, salicylic acid dissolves the dead skin that keeps pores from draining and allows them to heal themselves. Why not just mash or squeeze the blackhead out? Even if you are successful, and most people aren’t, what is left after you remove the ugly blackhead is an ugly enlarged pore. Salicylic acid treatments get rid of the noticeable, blackhead of the plug of sebum quickly and then let the pore drain slowly, giving the walls of the pore time to fall back into their normal shape. 2. 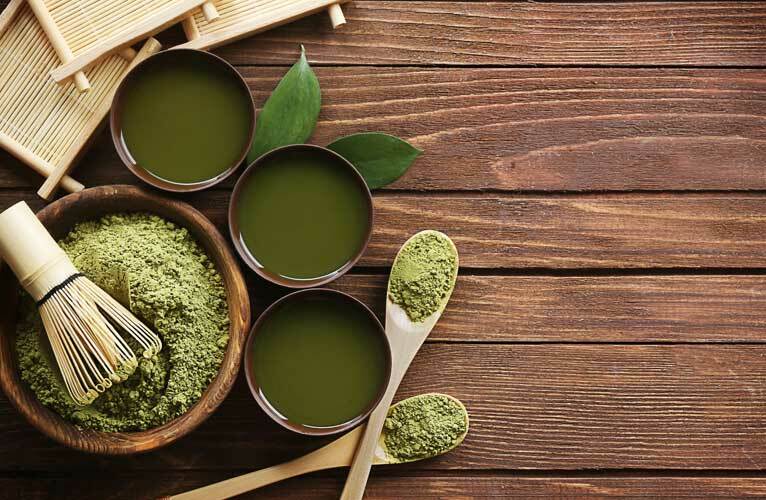 Stop excess oil production with green tea extract. There are several natural products that stop excess oil production. Witch hazel, for example, is loaded with tannins that literally “tan” (in the sense of making leather) the skin. The problem with witch hazel is that it can lock oil pores as well as lock oil out of pores. A better choice is any product that contains at least 3% green tea extract. Green tea reduces the production of sebum by the glands at the base of the pore. It won’t get rid of blemishes, but it will keep them from coming back. 3. Keep your skin moist as needed. It may seem counterintuitive that moisture can prevent the return of blemishes, but moisture is water in the skin, not oil on the skin. Using moisturizers when your skin has not had a chance to make its own aquaporins keeps the skin from shrinking around pores and locking dead skin, oil, and bacteria inside. You may not need moisturizer on your nose and across your forehead, but areas of the face are more vulnerable to dehydration, especially the sides of the face. There are many good products recommended throughout this site, but the easiest way to get all the products you need for taking care of oily skin acne and keeping your skin blemish-free are found at Exposed Skin Care. Have Acne and Oily Skin? Read On! What Is The Acne Cosmetics Connection? Millions of people who have acne try to hide it with a tan. Tanning acne-prone skin, however, can cause more problems than it solves. Acne and Sport: What’s the Connection? Active people of all ages can develop sports acne, but acne caused by sports activity is usually easy to prevent and treat.